The man was treated at the scene, but later pronounced dead. A MAN HAS died after being struck by a vehicle in West Cork in the early hours of this morning. 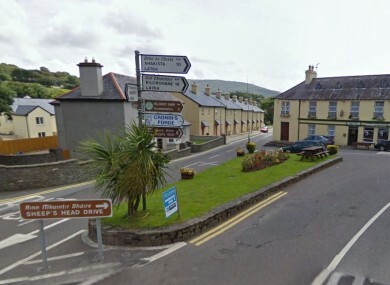 The crash happened in Durrus, around 9km from Bantry, at around 1.55am. According to gardaí, the 63-year-old male pedestrian was struck by a 4×4 vehicle on Kilcrohane Road. He was treated at the scene, but was pronounced dead a short time later. The man’s body has since been removed to Cork University Hospital for a post-mortem, and the coroner has been notified. A section of the road has been closed with local diversions in place. Forensic tests will be carried out at the scene later this morning. Witnesses or anyone with information is asked to contact Bantry Garda Station on 027-20860 or the Garda Confidential Line on 1800 666 111. Email “Man (63) killed after being hit by 4x4 vehicle in 2am crash”. Feedback on “Man (63) killed after being hit by 4x4 vehicle in 2am crash”.